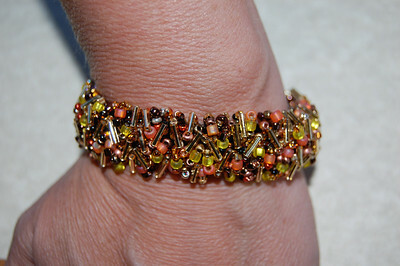 In addition to the Miyuki Delica Beaded Bracelets, Linda has started delving into creating other styles and designs of bracelets. 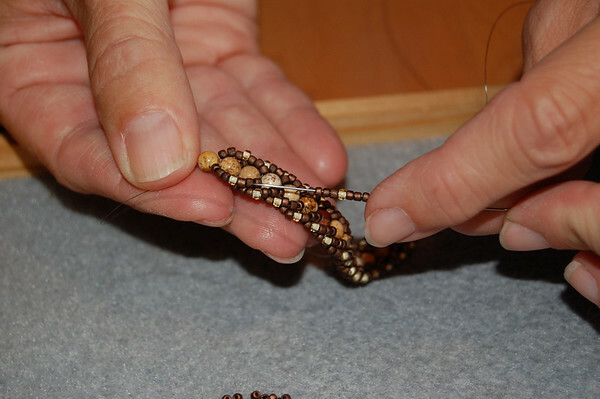 As with her Miyuki jewelry, each bracelet is individually handmade. Her newest creations can be viewed and purchased below. For any bracelet purchase, please be sure to indicate wrist size (example: 6 1/4 inches) during the checkout process in the comments or additional information box. MONEY BACK GUARANTEE ON ALL JEWELRY!! 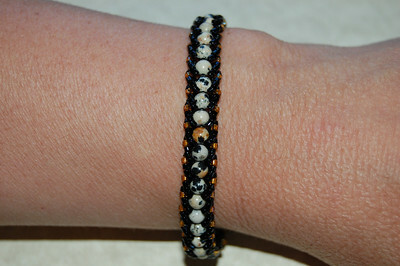 As each bracelet is made to order, delivery time may vary. We will email you the estimated shipping date upon order receipt. Shipping & Handling usually runs between $5.95 - $9.99. All orders will be shipped regular mail unless other methods are requested in which case additional charges will apply. 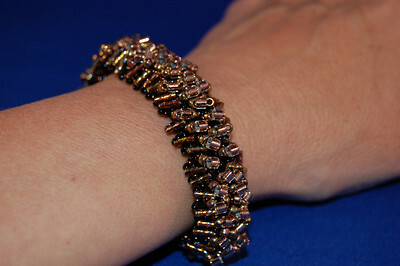 This popular bracelet looks just like much more expensive precious metal jewelry. 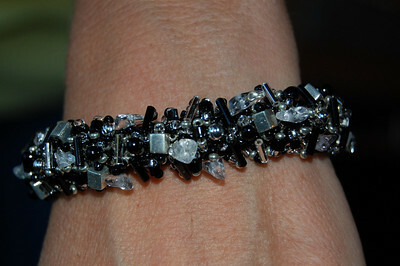 The colored beads in this bracelet are Swarovski Crystals. Swarovski Crystals are crafted in Austria and are regarded as the highest quality machine-cut and polished cyrstal beads in the world! 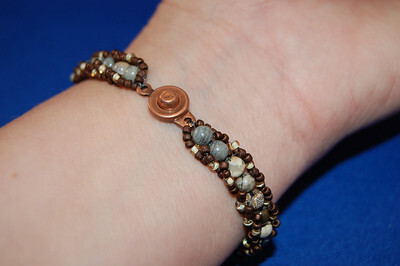 The bracelet comes with an easy-to-use magnetic clasp. 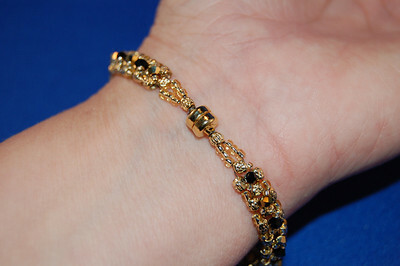 There is also a safety chain (not shown) to prevent the bracelet from getting lost. 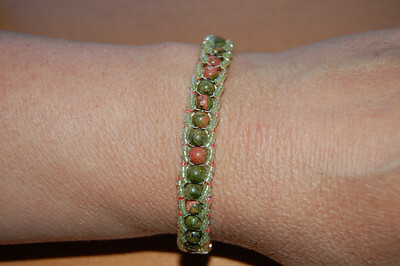 Linda can use crystal beads of any color in this bracelet. If you have a special request, please use the form at the bottom of the page to make your color choice. 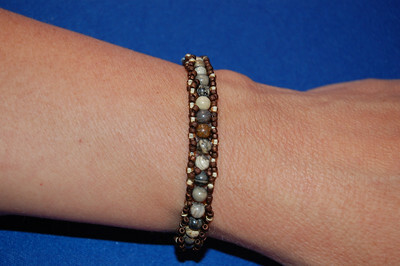 This "earthy" bracelet is great for casual wear. 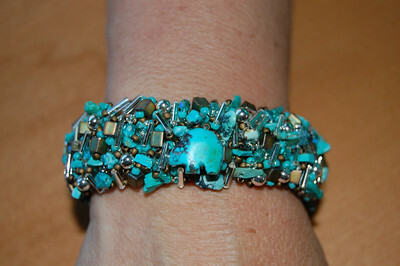 It is wearable art that is subtle in the way it draws attention. As you can see from the photos above, the Sidewinder can be created in several different color combinations. Feel free to use the Contact Form below to put in a custom request. 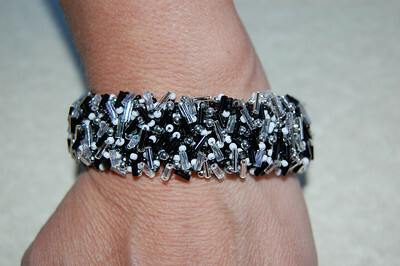 This is a fun bracelet with lots of beads that can go formal or casual. And, just like the Tennis Bracelets and Sidewinders above, the Cluster Bracelet can be made in just about any combination of colors. 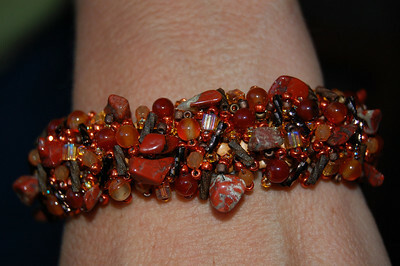 Each Cluster bracelet is a "free form" design. No two bracelets will ever be exactly alike. However, Linda can re-create the samples here pretty closely. Of course, we encourage you to the use the Contact Form below to put in a request for your personal color combinations.